So, why exactly did Microsoft buy LinkedIn? 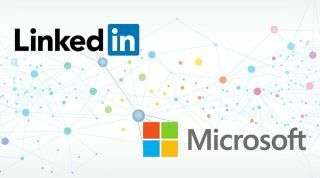 LinkedIn is Microsoft's 196th buy according to Wikipedia's list of acquisitions by the Redmond-based company and at $26.2 billion (around £188 billion) is its biggest to date, probably worth more than all of the others combined (and that includes aQuantive, Skype and erm, Nokia). Having missed the mobile and the social revolutions – Nokia was a last ditch attempt that failed and probably cost Ballmer's job – Satya Nadella didn't want Microsoft to fail at securing its business cash cow. Which is why– TLDR – it acquired LinkedIn and possibly betting its future on enterprise. Remember, the acquisition represented a rather high 47% premium offer over LinkedIn's share prices only a few hours ago, which may hint at a potential closed door bid between Microsoft and other unknown parties. Was it a smart move? Definitely. The deal gives Microsoft a 100% share in the business social networking market, one which Facebook has been dipping its toes into. The company has 433 million members and Microsoft paid $60.50 for each. Membership is growing at 19% which means that the company should reach half-a-billion registered users by this time next year. Compare that to Facebook, the world's largest social network, which has a market capitalisation 12x bigger than Microsoft's bill for LinkedIn but has only about four times the number of registered users, which means that Facebook users worth three times more than LinkedIn ones on paper. Which sounds improbable given that LinkedIn users are traditionally worth more in the eyes of advertisers. But then, Facebook's sky-high valuation is fuelled by the fact that the overwhelming number of its registered users are in fact active users, in that they visit the site (or Facebook's increasingly popular mobile application) at least once a month. That's about 16x more than LinkedIn with "only" 105 million unique visiting members per month. The $3 billion revenue it pulled in 2015 compare reasonably well with Facebook's $18 billion over the same period. What Microsoft bought though is not the potential revenue that LinkedIn might generate but the treasure trove that is LinkedIn's social graph. That would be especially true as and when Microsoft accelerates its diversification beyond its core business applications, adding features and services that businesses demand. In the hindsight, paying that for amount sounds like a bargain especially when given the amount of data (yes, it's all about the data) that hundreds of millions of qualified potential leads have poured into the business social network over the past decade. I don't believe that Microsoft wants to directly compete with Oracle or SAP just yet in but applying some of its artificial intelligence secret sauce, will, in the long term, reap immense benefits. Acquiring such a massive global website (28th globally according to SimilarWeb, 13th in the US according to Comscore) comes with another perk as well: a property that can deliver campaigns at scale. The acquisition is likely to push Microsoft ahead of Facebook and Yahoo in the US at least, into second place on Media Metrix, with Google remaining the undisputed leader. The site served more than 45 billion page views last quarter, a 34% growth year-on-year. Data aside, LinkedIn also provides Microsoft with a useful single sign-on option (SSO) that sits nicely alongside Google Apps, Facebook and Twitter. I have yet to encounter Outlook (Microsoft's default solution) as a SSO on third party websites but LinkedIn is a regular option. I know it might sound far-fetched but Linkedin replacing (or merging with) Outlook altogether wouldn't be such a bad thing, creating the business social network to be beaten. Doing so would allow Microsoft to trump Facebook (with its Facebook at work plan) by ring-fencing enterprise/B2B altogether. Satya also offered two more reasons why it acquired Linkedin. One has to do with training (Lynda.com, a video site that was purchased by Linkedin for more than a billion dollars) and job (more than doubling since last year to a staggering seven million active job listings). Microsoft, for now, will leave Linkedin untouched, which is wise given how its previous big acquisitions. The company wrote down more than $14 billion (for Nokia and aQuantive) with Skype likely to add a couple of extra billion to that sum. This will hopefully not happen to Linkedin. One thing's for sure, Microsoft is laser-focused on enterprise – not consumers - and its management – Nadella at the helm – wants to make sure that errors of the past do not come to haunt it.